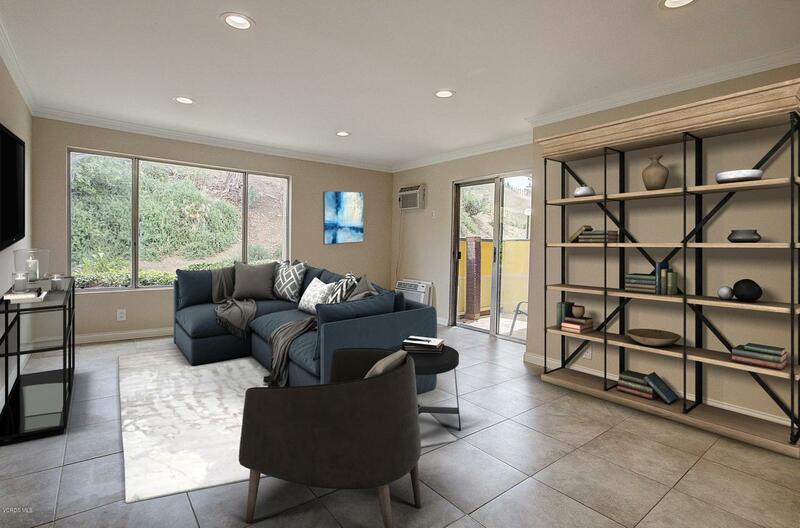 Town & Country Condo in a great Agoura Hills location! Gated parking lot, community pool, and spa, close proximity to many restaurants, schools and major freeways. This single level condo is in a highly desirable location, with updated flooring, and 3 spacious bedrooms. This home is in a quiet location towards the rear of the complex, and backs to an open space for a beautiful hillside view. The condo itself offers two bathrooms, a stackable washer and dryer, and plenty of storage space, with built-in shelving in the Master walk in closet. Don't miss this single-story home, ready to be made yours!